Mr. Scaduto is the Founder and CEO of Traverse Biosciences, an emerging bioscience company commercializing a proprietary library of novel drug candidates to treat chronic inflammatory conditions affecting humans and animals. Mr. Scaduto has also served as BioEntrepreneur-In-Residence (B-EIR) at the Center for Biotechnology at Stony Brook University. Mr. Scaduto was previously the Assistant Director of Business Development at the Center for Biotechnology, as well as the founding Executive Director of the Long Island Life Sciences Initiative (LILSI), where he helped launch the annual Life Sciences Summit. 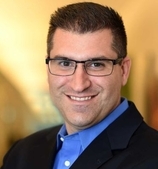 He has over 15 years of experience providing business development expertise, strategic planning services and technology commercialization guidance to emerging and expanding bioscience companies on Long Island and throughout New York State. Mr. Scaduto previously served on the Tenant Selection and Review Committee of the Stony Brook University Incubator Program, including the Long Island High Technology Incubator (LIHTI), and was Chair of the Bioscience Screening Committee of the Long Island Angel Network (LIAN). Mr. Scaduto was also an active member of the Economic Development Council at Stony Brook University, the Advisory Board of the Clean Energy Business Incubation Program (CEBIP), the Selection Committee of the annual Long Island Technology Hall of Fame, and the Advisory Committee of the Long Island Index produced annually by the Rauch Foundation. Mr. Scaduto holds a BS in Biology from Binghamton University, a MS in Biotechnology from Northwestern University, and a MBA in Finance from Stony Brook University.